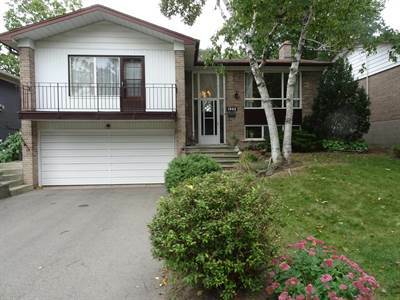 What an opportunity, Clarkson Lorne Park Mississauga House For Sale For Only $775,000! • 2 bathrooms , 3 + 1 bedroom raised ranch – Bring your hammer and lots of ideas! We have all heard location, location, location when a house is for sale, well, here is one in Clarkson, minutes from the Go Train & the QEW. This neigbourhood is sought after with its tree lined streets, easy access to shopping, services, schools, churches and parks. This 3 plus 1 bedroom raised ranch will require some TLC, hence the wonderful price! There are 1 1/2 bathrooms, a back deck, fenced back yard, a balcony of the master bedroom, a huge rec room with a wood fireplace. With a double car garage, flag stone walk way, mature foliage and you adding your updating skills, you will have a wonderful place to call home.